You are here: Home / News / Latest News / Reclaimed Limited CE 24 & Vela Semi-Hollows reach Europe! PRS Guitars is proud to offer a small batch of “Reclaimed Limited” CE 24 Semi-Hollow and S2 Vela Semi-Hollow guitars that showcase two exotic wood species new to PRS: Peroba Rosa and Brauna Preto. This reclaimed wood, which is native to southeastern Brazil’s Atlantic Forest, is typically more than 100 years old. PRS Guitars Senior Wood Manager, Michael Reid, sourced these woods from old buildings, noting that their density, unique aesthetic, and history would lend them to guitar making. We’re pleased to announce that these are available across Europe now! Peroba Rosa (photo above), typically used as siding, was selected for the top wood. 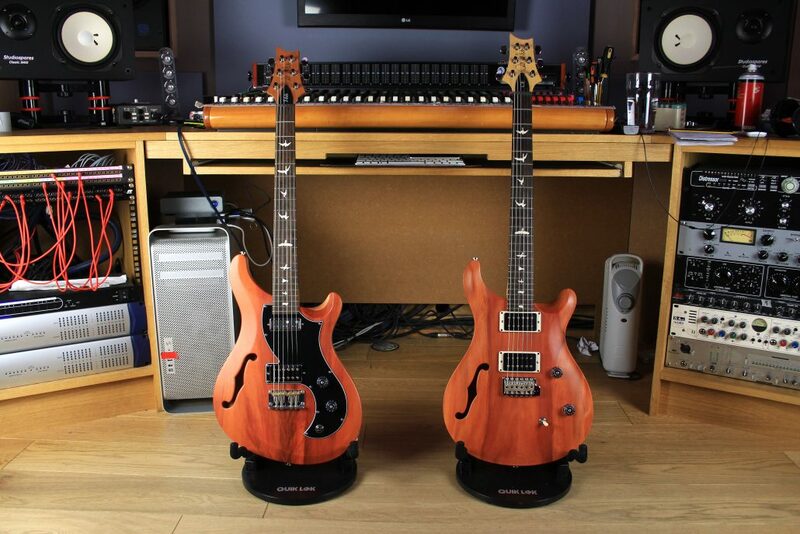 The density of this wood combined with the semi-hollow body construction gives the Reclaimed Limited CE24 Semi-Hollow and S2 Vela Semi-Hollow a unique sound that is punchy but also warm and full. Brauna Preto (photo below), typically used as the supporting posts of these old buildings, is used for the fretboards due to its tight-grain and sustain. These guitars are finished in Natural satin nitro. Any nail holes and any wear or discoloration have been left in the top wood to showcase its history. By leaving the Peroba in its most “original” form, every instrument is rendered unique with each top boasting its own character. 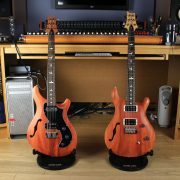 http://www.prsguitarseurope.com/wp-content/uploads/2017/05/Reclaim-Guitars.jpg 3342 5013 Kieran Morgan http://www.prsguitarseurope.com/wp-content/uploads/2014/06/340-300x137.jpg Kieran Morgan2017-05-16 11:22:182017-05-16 11:26:41Reclaimed Limited CE 24 & Vela Semi-Hollows reach Europe!